To fo​ster the art of watercolour painting and its appreciation. and encourage their participation in a range of related activities. 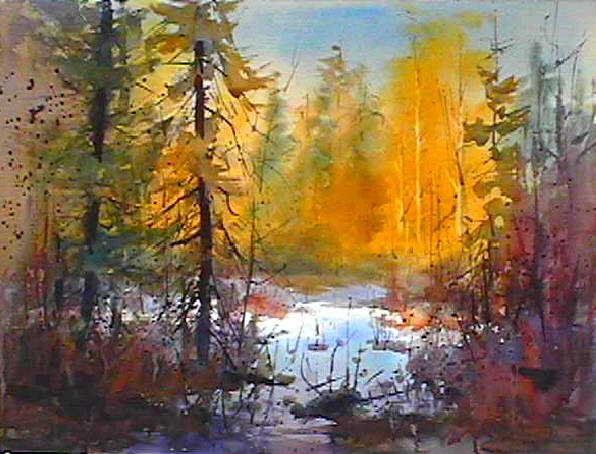 The Ottawa Watercolour Society, founded by well-known watercolourist, Morton Baslaw CSPWC, has developed a graduated process of membership from membership to fellowship. electronic format for all members. ​Juried exhibitions are held twice a year at various galleries. Permanent space for non juried exhibition for members of the Ottawa Watercolour Society is reserved at the Walter Baker Center Gallery located in Walter Baker Sports Complex. ​to have your name and website added, deleted or changed.